This recipe is an exclusive extract from the brand new Wicked Healthy Cookbook available now for pre-order. The Healthy Wicked Cookbook looks just like the type of recipe collection you would actually use. Sure it has more of a lean towards health-focussed food than you are be used to seeing on my blog, but you can’t argue with food that is simply great to look at and amazing to taste. Chad and Derek Sarno caused an absolute storm recently with their Wicked Kitchen grab-and-go range for Tesco, so it’s understandable that this cookbook is being touted as a must-have for serious food lovers. I’ve seen Chad and Derek in action over the years and I know that they are two of the most talented proponents of plant-based food around. They know about delicious, vegan food. The Wicked Healthy Cookbook is published May 31, 2018 but I am thrilled to be able to bring you this sneak preview. I’d love to know your thoughts in the comments below once you’ve tried the recipe and don’t forget you can pre-order The Wicked Healthy Cookbook via Waterstones and Amazon. Preheat the oven to 200ºF. Line two baking sheets with parchment paper. Make the meringue until it is fully whipped. Whip the almond extract and vanilla seeds into the meringue. Spoon the meringue into a pastry bag fitted with a round tip. Or use a zipper-lock bag and cut off a corner. If your parchment is curling up from the baking sheets, dollop a little meringue under each corner to secure it. Pipe cookies into pointy mounds about 1½ inches in diameter. They should look like big Hershey’s kisses. You need only about ½ inch space between cookies because they won’t expand much during baking. Sprinkle the ground almonds, if using, evenly over the cookies. Bake until the cookies look dry and off-white in color, 2 hours. Rotate the pans halfway through the baking for even heating. Cool completely on the baking sheets. Store in well-sealed containers. Humidity and moisture will make the cookies sticky, so store them in a cool, dry cupboard. RASPBERRY MERINGUE COOKIES: When making the meringue, add 1/3 cup powdered freeze-dried raspberries (buzzed in a clean spice grinder) along with the sugar. Omit the vanilla and almonds, and substitute raspberry extract for the almond extract. 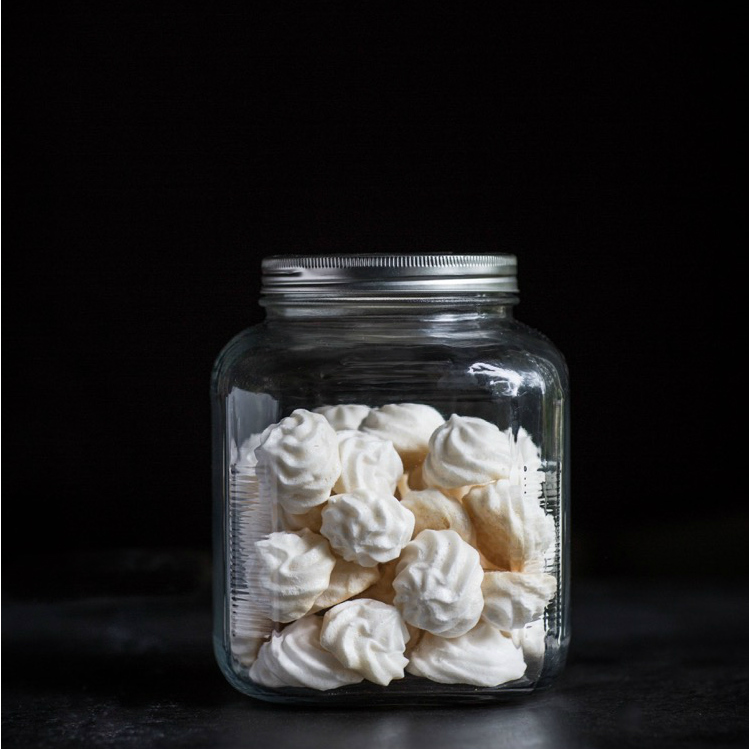 LEMON MERINGUE COOKIES: When making the meringue, add 2 tablespoons lemon peel powder (buzz the dried lemon peel in a clean spice grinder) along with the sugar. Omit the vanilla and almonds, and substitute lemon extract for the almond extract. CANDY CANE MERINGUE COOKIES: When making the meringue, reduce the sugar by 2 tablespoons and add 3 to 4 tablespoons crushed candy canes along with the sugar while whipping. Omit the vanilla and almonds, and substitute 1 teaspoon peppermint extract or a few drops of food-grade peppermint essential oil for the almond extract. This recipe still blows our minds. You mean the leftover liquid from a can of beans (called aquafaba) can be used to make desserts?! Most people pour their bean liquid down the drain. But surprise—it has enough protein to whip up just like egg whites. Voilà—plant based meringue! You can use this meringue as a base for everything from pancakes and pastries to meringue-topped pies and Almond Meringue Cookies (page 236). All without a hint of beany-ness. You can even use aquafaba to make Plant-Based Mayo (page 264). Strain the chickpea liquid into the bowl of an electric mixer. You should have about ½ cup. (Use the chickpeas for something else such as the Four-Bean and Sweet Potato Slow-Cooker Chili on page 166). Add the cream of tartar to the bowl and fit the mixer with the whisk attachment. Whip on high speed until the mixture increases in volume and stiffens a bit, 4 to 6 minutes. Reduce the speed to medium high and gradually add the sugar, a few tablespoons at a time. Blend about 4 minutes more, stopping and scraping down the sides of the bowl as necessary. The meringue is done when it holds its shape as the whip attachment is lifted. You should also be able to hold the bowl upside down without the meringue falling out. Continue whipping until you can do that. Otherwise, the meringue will not hold its shape when cooked. To make semifine sugar, grind it in a food processor or Vitamix for 10 to 15 seconds. 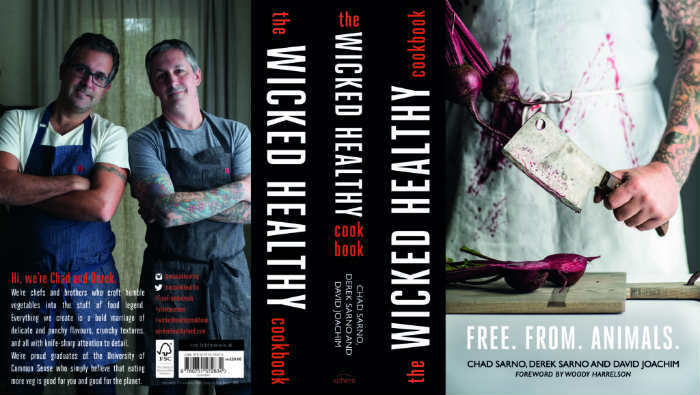 Pre-order The Wicked Healthy Cookbook online.